As people live longer it's more important than ever to take an active part in planning our retirement funds. Managing your income in retirement is key says Pòl Ó Briain. 'Getting financial advice is not the preserve of the wealthy'. Photograph: Shutterstock. In our parents' generation, retirees lucky enough to have a pension had little option but to use it to buy an annuity. This provided them with a guaranteed income for life. About the only decision to be made on retirement was what brand of watch to look for! "Annuities were very popular in the past, and indeed for some people they remain the preferred option," says Pòl Ó Briain, head of retail products with life and pensions company Zurich. However, the annuity rate - which, together with the amount of money you have accumulated in your pension fund, determines the fixed payment you receive each month in retirement - is set according to the prevailing interest rates. These have remained at historic lows for nearly a decade. 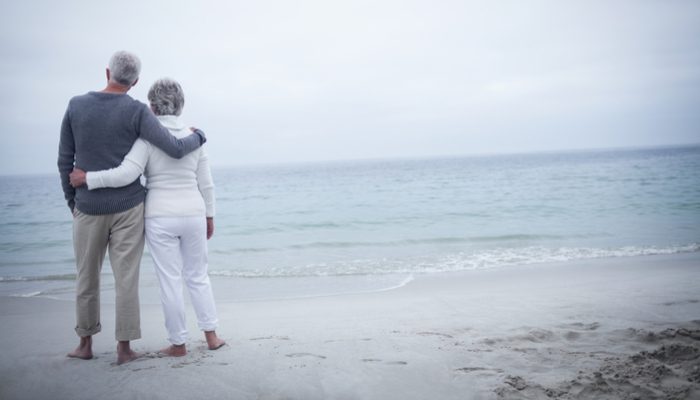 "As a result, annuities are increasingly perceived as not offering good value, particularly if you want to provide a pension for your spouse in the event of your death. You can quickly find that what looks like a very healthy pension fund at retirement may not provide you with as much annual income as you might have expected," says Ó Briain. On top of that, once an annuity is purchased there's no transferring an annuity to your estate. "Plus, with an annuity, once you set it up, that's it, there's no going back," he said. As people live longer, they are going to need to take more action to ensure their funds last throughout their retirement. "You need to ensure you are investing your ARF in an appropriate way, taking into consideration your overall risk tolerance," says Ó Briain. Post retirement, ongoing decisions will be required. "It's important to have regular reviews with a financial broker or advisor, to ensure you are managing your retirement funds in the most effective way," he says. Getting financial advice is not the preserve of the wealthy, nor are ARFs themselves, he points out. "There is still a misconception that ARFs were introduced for people with a lot of money, but that is not the case," he says. As people live longer in retirement generally, it's more important than ever that they take an active approach to their retirement funds. "For example, if you have an ARF investment fund of €100,000 and you plan on taking €10,000 a year to live on, which might seem reasonable, it's not going to last 20 years," he says. "You therefore have to figure out the best way to manage your money, being conscious both of your tolerance for risk and your capacity for loss, which is why having an advisor to assist you will become so important in retirement. After all, while you are still working in an organisation, you are likely to have all sorts of workplace supports to help as you approach retirement. When you are in retirement, you no longer have that support." Changes to an individual's health and personal circumstances as they age will also require regular review. In some cases those who eschewed an annuity when they first retired may want to consider one at a later stage - especially as annuity rates increase with age. If so, the option of converting some or all of an ARF to an annuity may be worth exploring. Managing ARFs throughout retirement is increasingly likely to be the norm. As ever when it comes to retirement, the best advice is to take advice. "It is most certainly not something that should be done without proper guidance," says Ó Briain. Pòl Ó Briain is head of retail products with Zurich. Zurich has a number of tools and tips to help you plan for your retirement. The pension and retirement calculator can help you with your retirement planning and will show you how much you need to be financially secure in retirement.